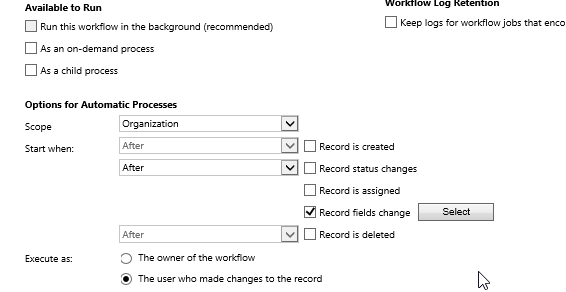 Great new feature of CRM 2013 is the ability to trigger a workflow synchronously, meaning I update a field, it triggers a workflow, that updates a field on the form in real time with no refreshing? Say goodbye to some plugins! Once you have enabled this then you have a few more settings to work with to define how the workflow is triggered. So depending on how the workflow is triggered will determine whether you can start the workflow process before the record has been created or after if trigger on create, otherwise if trigger any on change then again before or after and likewise on delete. Another important point is how you execute the workflow. You now have the option to execute as the owner of the workflow thus the owner may have greater security permissions or run as the owner of the record that may have limited rights. Things to think about when designing workflows. 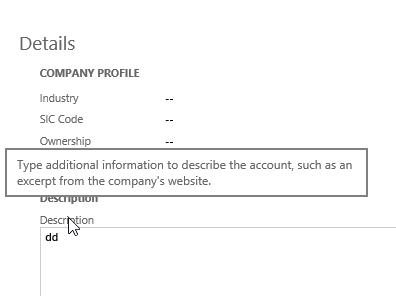 So I have upgraded and I want to add my additional fields to the new look and feel CRM 2013 forms, how can I do this efficiently without having to one by one drag them in to the form? 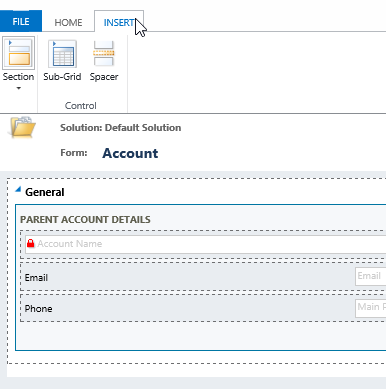 Simple use the Bring in Another Form option to append the fields from the old form on to the new form. You can then just simple drag and drop the fields on the new layout. So how do I provide help for my users on what they should be filling in on a particular field? Its easy with CRM 2013, use the description on the field. 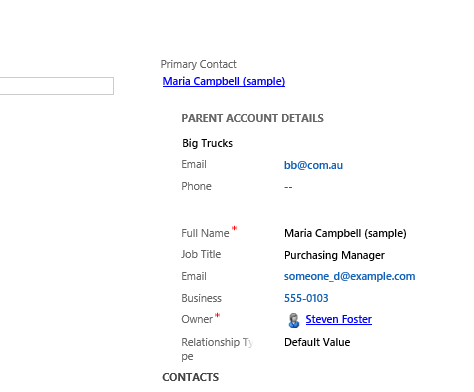 In CRM 2013 the description on a field is displayed when you hover over the field, in essence a tool tip or help option. If you are upgrading you may want to review what your descriptions include as they could be developer guides and not user friendly. 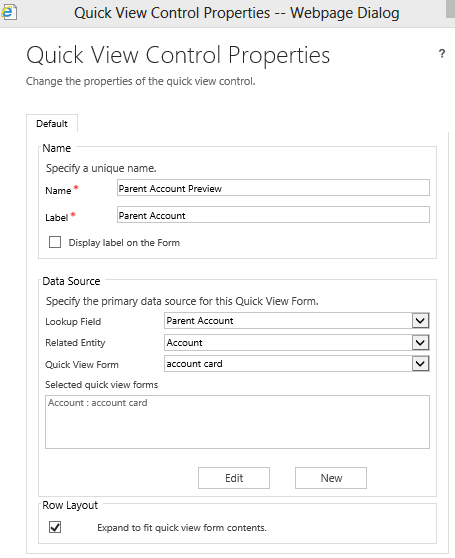 A great new feature of CRM 2013 is the quick view feature. Quick Views – The ability to display a read only view of a associated record within an existing form. What this means is that I am looking at the Account screen and I can quick view the details of the primary contact or even the details of the primary account. So how do I create a quick view? Once you ave created the form you save it and publish it. You can create many quick view forms for any entity. Once you have added it, you save and publish the form and your quick view card will be displayed. If no record exists in the lookup associated to the quick view then the quick view will not be displayed. See screen shot below of Parent Account quick view. Display details of a contact or product associated to a Case on the case form. As you can see many uses of this very cool feature!